A financial advisor is an individual that has the knowledge and expertise to help you handle all of your family finances. This includes trust funds, retirement accounts, tax concerns and other items of financial planning. It is important to understand that this professional has a great deal of responsibility and a person hired in this position should be someone who you can trust. When working with a financial advisor, you will want to sit down with them and touch on economic trends and to keep track of tax liabilities as you invest and pull money out. This individual should help you to budget your finances and to actively assess any tax liabilities that you may have. At the same time, they should be able to discuss mutual funds and their distribution, while going over the benefits of setting up Roth accounts and other potential stocks to make an investment in. Because of all they do, you will need to ensure that the financial advisor is licensed to practice in the United States. 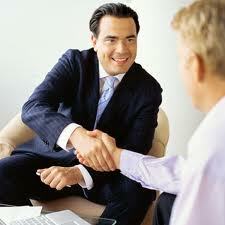 Usually, they will be listed as a Certified Financial Planner and will have a degree in finances. You will find that the requirements that are attached to this help to ensure that when a person has their certification that all of your family finances are better handled and protected. The goal of the financial advisor is going to be to ensure that your financial goals are met, in a manner that works for you. There will be a clear direction in their plan and they will assess how comfortable you are with making risks before they happen. That ensures you have the peace of mind that you need, while these professionals monitor and maintain your finances for you, ensuring that you and your family are financially protected. When is the right time to pursue your business idea? Be the first to comment on "What is a Financial Advisor to me?"